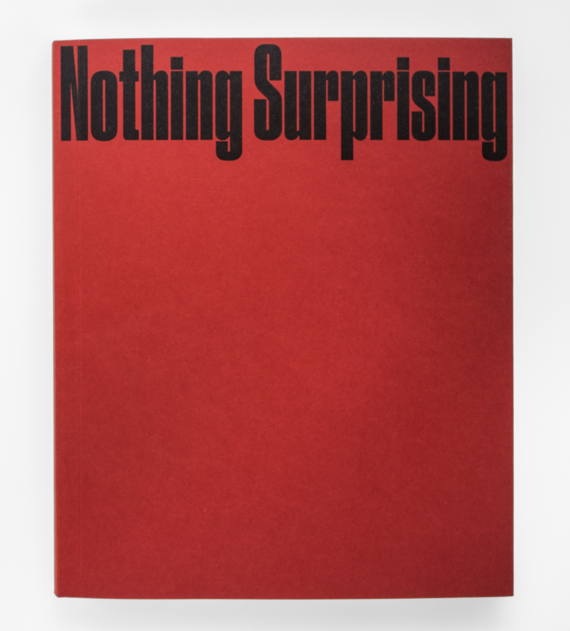 Over the past few years, we have witnessed not only an explosion in photobook publishing but also in photobook awards, publishing grants and institutional recognition for the importance of the format. So, while we were happy to recognize ten books which received wide-spread, even global, acclaim in 2015, we also want to shine a light on more idiosyncratic favorites. After asking the opinion of nearly two dozen experts, here are a wide range of books that were offered as singular, personal picks. 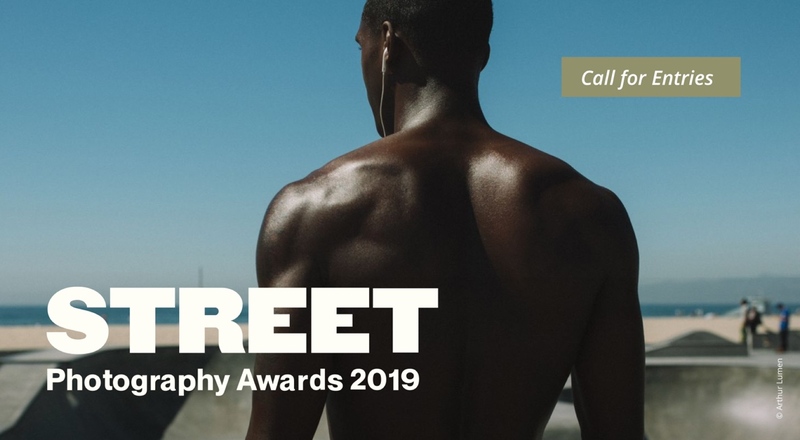 We hope you enjoy this list and discover some inspiring, yet unfamiliar, titles that deepen your perspective on what a photobook can offer. And best wishes for the upcoming year—full of more great books! 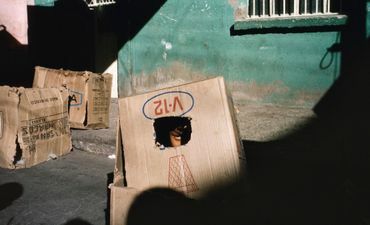 When the book first appeared on the roster at Steidl, I didn’t know anything about the photographer, Ms. Clay, and had no idea what to expect. But when I opened the first advance copy, I was blown away. Maude Schuyler Clay started this color portrait series in 1975 when she came upon her first Rolleiflex 2¼ camera. At the time, she was living and working in New York and paid frequent visits to her native Mississippi Delta whose landscape and people continued to inspire her. Over the next twenty-five years, Clay produced a collection of portraits that form an intimate, complex and lyrical picture of the South and its inhabitants. The images are superb, and have a lightness that entrances the viewer. 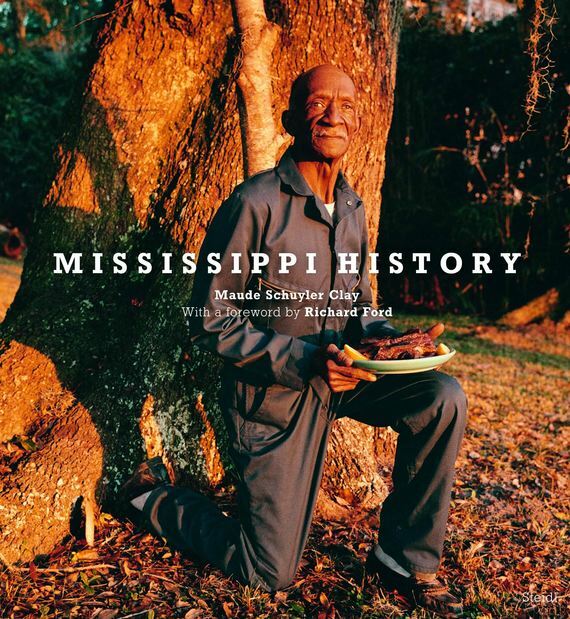 Whether we have ever travelled to Mississippi or not, Clay’s photographs have the power to take us on a journey through time, place and memory. 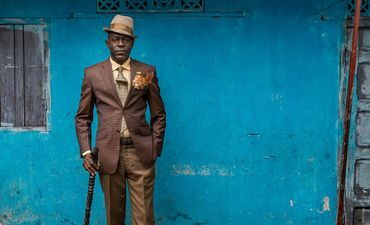 She has an acute sense of color and uses available light to both reveal her subjects and allude to the hidden stories behind the faces and beyond the frame of the camera in an almost cinematic way. Maude Schuyler Clay is like a modern-day Bonnard equipped with a lens instead of brushes, and this book is a great opportunity to discover a little-known yet immensely talented photographer. Occupied Pleasures offers an important and sensitive insider perspective on the lives of the more than four million people who reside in Gaza, the West Bank, and East Jerusalem. We know very little about the everyday lives of this oppressed population that is undergoing such difficult conditions. Yet counter to the polarised representations of occupation in mainstream media, Habjouqa reveals those persistent (yet quiet) moments of release and escape. After all, despite the overwhelming challenge of living in a place where the political situation influences almost everything, people are not solely focused on survival but even some moments of pleasure. From the parkour boys of Qalqilya to surfers and break-dancers of Gaza, the book is filled with unexpected creators, artists and even just quotidian hobbyists. These people find a way to practice yoga, play sports, love and live. The book is also interspersed with original poetry by Najwan Darwish, Sousan Hammad, Hind Shoufani and includes Arabic proverbs by Nassar B. Isleem. 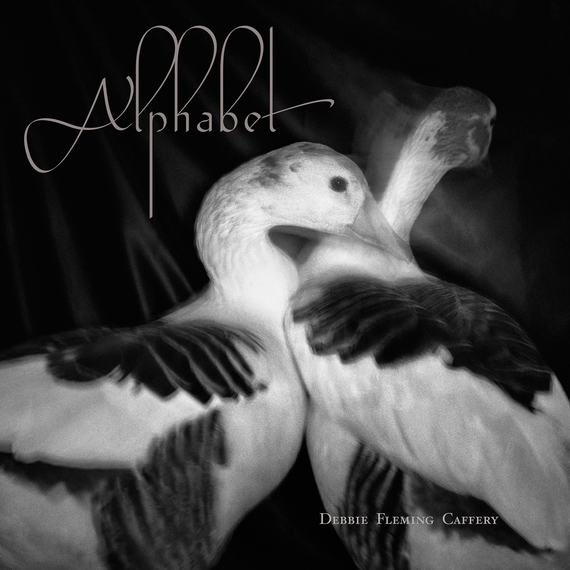 In her new book, Alphabet, documentary photographer Debbie Fleming Caffery has chosen twenty-six black-and-white photographs—either pulled from her extensive archive or created for this work—each of which corresponds with one letter of the alphabet. Inspired by her granddaughter, this sequence constitutes an unusual yet delightful children’s book, disguised as an art book (or vice versa). Caffery is one of my favorite photographers. 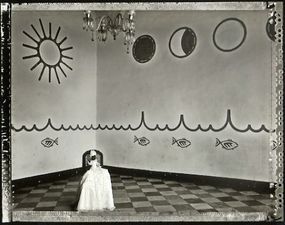 Her extraordinary photographs are full of shadows and secrets, that evoke a feeling of her roots growing up along the bayou in Louisiana. This collection will warm both your eye and your heart. My favorite photobook of 2015! The photography is excellent, the story was new to me and the making of the book was just brilliant. 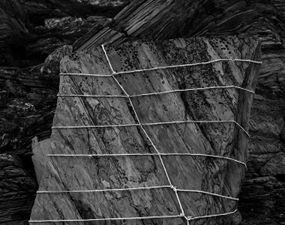 To produce this project, Ester Vonplon photographed the Swiss glaciers for two years. During the summer months these glaciers are covered by enormous cloth panels to stop the melting process. Vonplon also recorded the sound of the purling Gletschermilch (glacial milk) with a highly sensitive microphone. 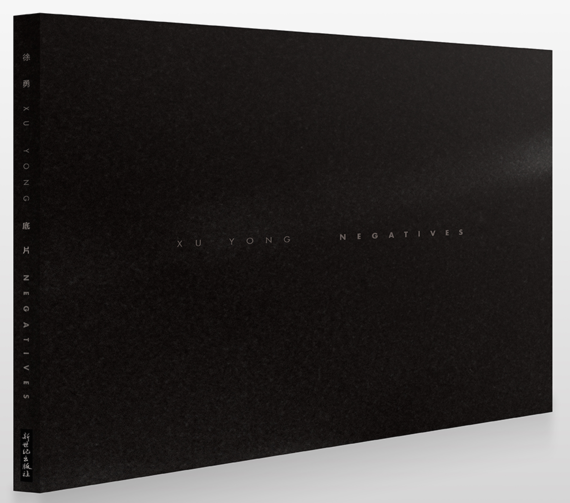 Stephan Eicher then used these recordings as a starting point to compose a 21-minute audio-collage. The resulting music ranges from classic to experimental: a bit melancholic (like the slowly melting glaciers) but very beautiful at the same time. 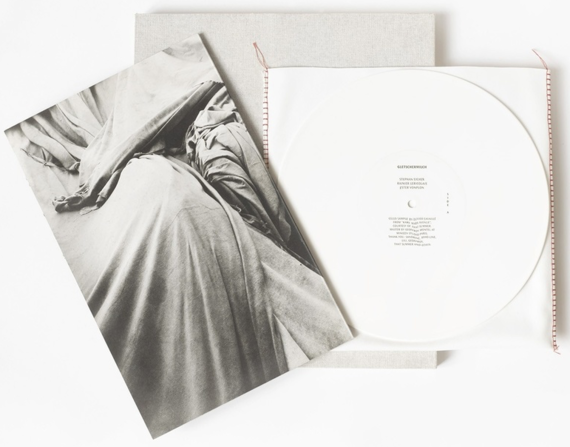 These are included with the book as a 10-inch vinyl record, in a hand-sewn sleeve. Inspiring and fresh all at the same time. A breathtaking book and the only one from this past year that I consider worth mentioning. In recent years, Stephan Vanfleteren has spent days wandering the “le pays noir”—Belgium’s depressed post-industrial lands. In particular, the photographer has a love-hate relationship with Charleroi, the industrial city on the Sambre, where the coal mines are long closed and where the declining steel mills squeak by under the continuing global crisis of manufacturing. Sometimes Vanfleteren was shocked by the poverty and the corruption, but just as often, he was moved by the solidarity, openness and hospitality of the local people. 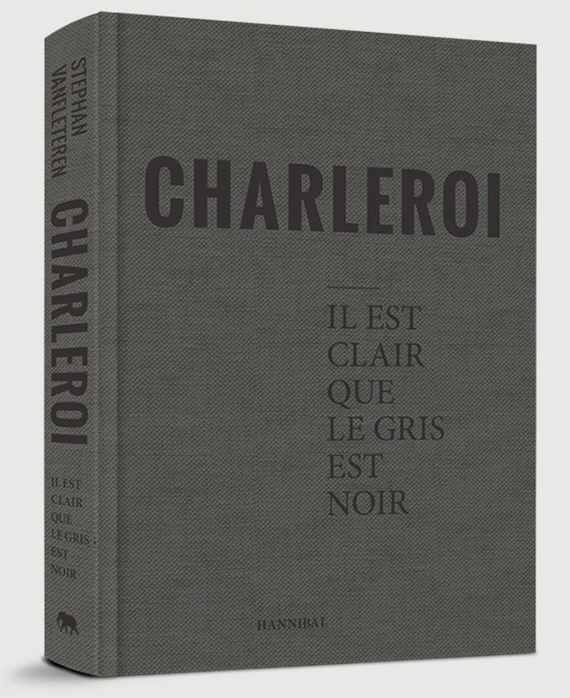 Charleroi, il est clair que le gris est noir is not only a visual testament of a city in decline but also the personal reflection of impressions, musings and thoughts of a man who looks, listens and writes about the black ghost of a gray city. Besides the images, the text in a book is something special and adds another layer to the magic; Vanfleteren is not just a powerful photographer but also a great writer. This book shows that a great publisher, a great photographer and great printing quality can do magical things. A perfect example of how dedication and a long-term commitment are the key to producing something special. A book I will cherish for the rest of my life. The reason I choose this book is because of the overall concept of the book and the intelligent & original way the form is an integral part of the story that the photographer wants to tell. The book returns to the aftermath of the London Riots of 2011 in a surprising and effective manner. Back then, the Metropolitan Police hand-delivered leaflets to people’s letterboxes which depicted youngsters, who presumably took part in the events, using the grainy footage from CCTV. Images of very low quality, almost amateurish, were embedded with unquestioned authority due to the device used for taking the photographs and to the institution distributing those images. 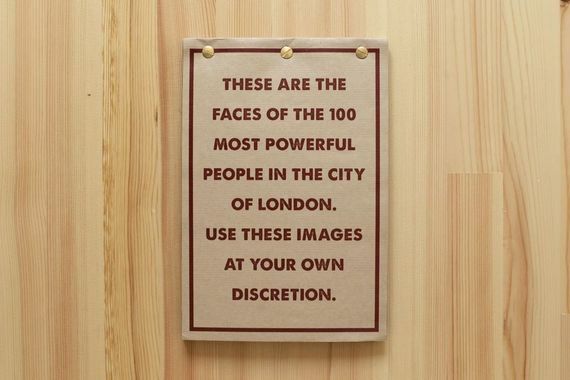 Mayrit’s photographs turn back this same unquestioned authority onto figures of power—the 100 most powerful men of the City of London. Mayrit holds this group responsible for a far greater crime than petty looting: the ruination of the global economy in 2009. By appropriating the language of surveillance, we come to understand the perils of government abuse in new ways. The book itself is as inventive as the conceptual approach: printed on cheap brown paper and held together with screws on top. This “raw” design fits with the black and white photographs and the connotation of leaflets and surveillance. This is a performance turned into a book—but not just any performance. The French artist, Thomas Mailander, applied to the skin of models 23 original negatives selected from the Archive of Modern Conflict. He then projected a powerful UV lamp over them, revealing a fleeting image on the “objects’” surface. Through these organic translations, the visual annals of history becomes flesh. Or maybe we are the flesh of History. These are more than photos—they are a fascinating meditation on our understanding of the past. This conceptual work examines the artist Thomas Albdorf’s native Austria and picks apart the way it has been constructed and constituted within our contemporary image space. After all, the concept of an alpine landscape functions as a surface for multiple projections: whether the classic 1960s Heimatfilm, world-wide advertising, or falsified political propaganda. 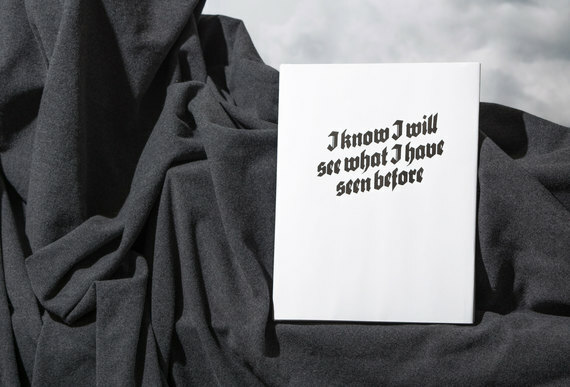 I Know I Will See What I Have Seen Before aims to reconstruct and abstract this mountainous visual space via various methods of image production, ranging from appropriated scanned material, digitally altered photographic images, studio settings and more. By de- and recontextualising the perception of how Austria is seen, we come to see the country (and our own perceptions) in a wholly new light. An inventive and unusual work, something we at Der Greif highly appreciate. 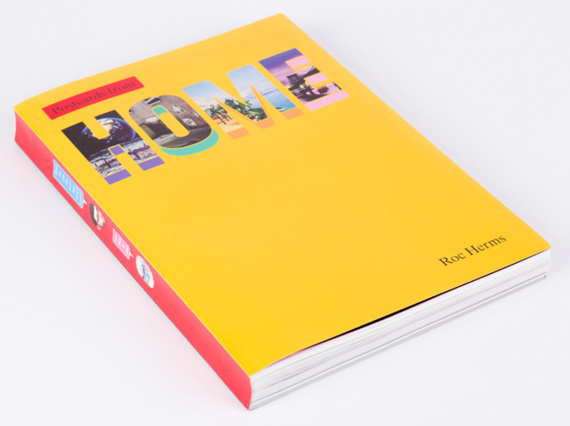 Postcards from Home compiles more than five years of work during which Home, a virtual community platform was active. Roc Herms was part of this community almost from the start, and after feeling astonished by the amount of people who decided to spend New Year’s Eve 2009 attending a virtual party, he decided to transform his avatar into a photographer and graphically documents all his encounters and conversations. This “book” provides a great example of how photography doesn’t need to be constrained by the restrictions of the camera any longer. The computer screen itself can function exactly like a shutter release and the artist behind it behaves in a very similar manner to the traditional photographer. The resulting visual language is both familiar and inventive: the book creates its narrative using both first and third person perspective. The accumulated material is something like a graphic novel, but also an autobiography, an anthropological study and an investigative report. 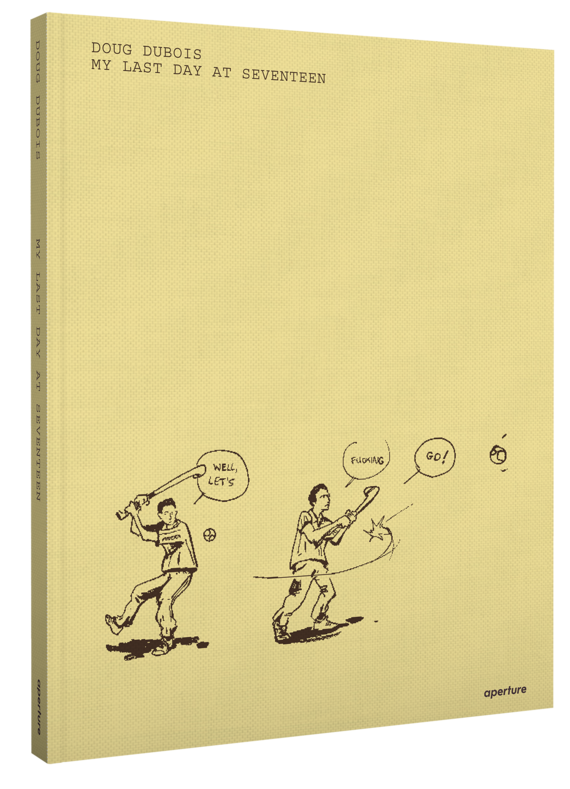 In short, a 21st century (photo)graphic book of the highest quality. This is the honest story of one person’s unsuccessful quest to become a mother—a topic many couples are touched by these days. With this work, Elina Brotherus returns to the autobiographical documentary style she became known for in the late 1990s. We follow her through times of alternating hope and despair, with interspersed calendar pages showing that yet another year has passed with no success. Brotherus’ carefully constructed, tableau-like self-portraits give way to observations of the everyday, surprising and surreal. The book does not explain, judge, comment or teach—it relies entirely on visual storytelling. Through the use of different papers and various graphic styles, this ambitious book takes the spectator on a tactile and visual ride through a topic rarely articulated in art or even in life. Indeed, the book is powerful exactly because Brotherus is not afraid of putting her struggle out into the world. She makes no attempt to hide her frustration or sadness and even shares glimpses of her dashed hopes during the years of hormonal treatment. Throughout, we find images of delicate beauty that keep us engaged aesthetically as well as emotionally. 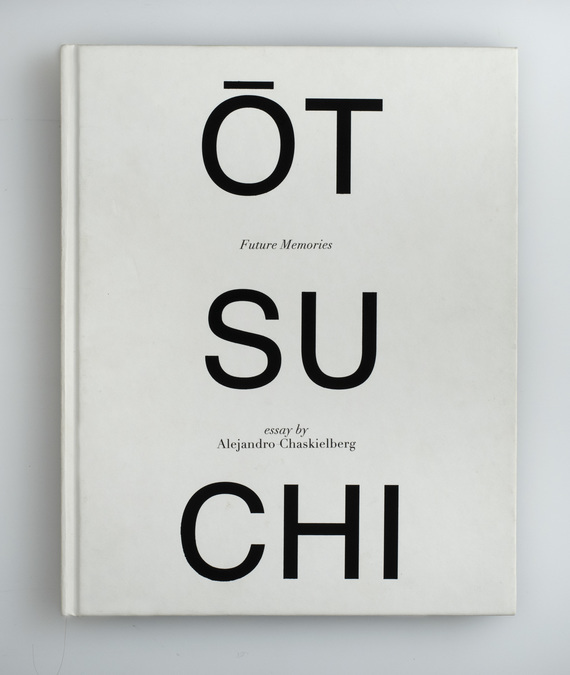 The book’s exquisite design and choice of materials by Heijdens Karwei make the object a precious and beautiful art piece to enjoy. Less than 50 years ago, people from all over South Korea moved to newly erected buildings on what used to be farmlands south of the Han River in Seoul, with dreams of a better life. Today, after an unprecedented economic miracle, South Korea has become one of the richest countries in the world. In less than a single working life, the country has jumped from a war-torn third world country to an esteemed G20. One of the apartment complexes that embodies the dramatic change is Eunma Town, built in 1979. It is one of the few of its kind still standing today, in the midst of newer, more modern buildings. Eunma Town is an iconic apartment which embodies the whole of South Korea’s modern history concerning economy, education and development. 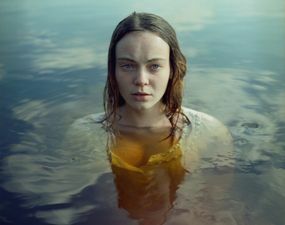 Sébastien Cuvelier, a Belgian photographer,a has covered his subject in a deep and penetrating fashion. The book combines excellent photographs with extensive interviews and studious research. Thanks to this complete package, we can grasp a full-bodied picture of modern-day South Korea all in the bounds of a single volume. Of all the books this year, Xu Yong’s Negatives may be the best. The images in this unusual photobook are, in fact, photographic negatives taken 25 years ago, during the much-censored Tiananmen Square Protests in Beijing, China. To “properly” view the series’ images, one must utilize another lens—whether on your smartphone or camera—and invert the colors to “develop” your own positive result. This is a smart hybrid work that allows us to think through a well-known topic in a very original way. By combining the physicality of the printed page with the possibilities of electronic devices, Yong offers a different yet amazing experience. This is both a brave statement of political support and an investigation in the ongoing taboos of China’s history. Thank you for sharing Xu Yong! 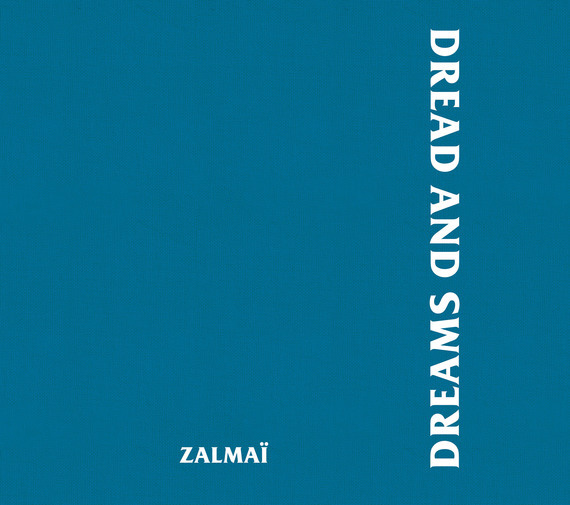 Dread and Dreams brings together photographs made by Zalmaï, the Afghan-born, Swiss-raised photojournalist, who made work in his homeland between 2008 and 2013 against the backdrop of the 14-year US-led invasion. The book presents two contrasting bodies of work: in the first, Zalmaï shows epic duotone photographs that reveal the stark reality of life in Afghanistan for the millions of Afghan refugees who have returned to their country since 2002. Although these individuals came back in the hopes of rebuilding their shattered lives, many have discovered that they cannot go back to their homes now, or maybe ever. In counterpoint to this series, Zalmaï presents sun-tinged color photographs that reflect the hopes and dreams of the Afghan people. Here, Zalmaï takes us away from the monumental humanitarian crisis wrought by war to reveal signs of positive life force permeating his country. Zalmai is the photographer who best tells the story of his country. With great modesty and very few shocking images, we come to see this much photographed land in a new light. 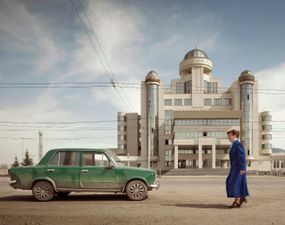 Despite a decade-plus of photojournalism, we realize through Zalmai’s work that we never really saw contemporary Kabul. The book is beautifully printed and a masterful work. 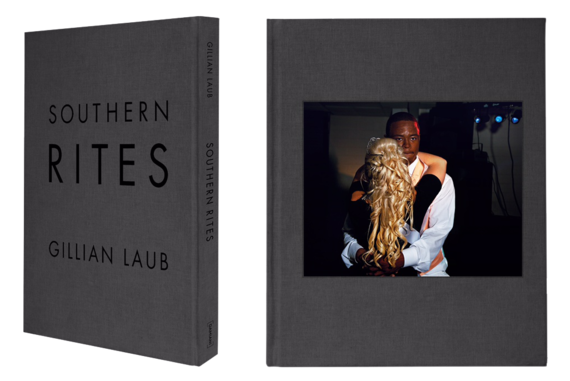 Southern Rites is a product of the courage and perseverance of photographer Gillian Laub. For twelve years she never gave up trying to tell the story of a community in the American South which was struggling to confront longstanding issues of race and inequality. When part of the work was published in May 2009 in the form of a photo-essay about the town’s segregated homecoming and prom rituals, the images ignited a firestorm of national outrage. The imagery is provocative, brave and enlightening. 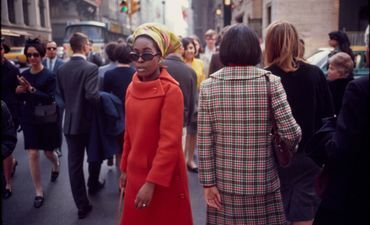 Through her photographs, Laub reveals in vivid color the horror and humanity of these complex, intertwined narratives. 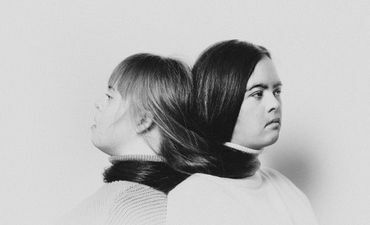 The photographer’s intimate sensibility ensures that however elevated the ideas and themes may be, her pictures remain studies of individuals. In the end, Laub reveals the individual humanity of the many lives she touched and the deep relationships she forged along the way. I was asked to contribute to many end of the year lists and thus have already supplied several picks elsewhere. But if I had to pick just one, I would say Amak Mahmoodian’s Me/من. I have seen many books in my life, and Me/من is one of the special ones. First of all, the book has sense. Although ostenibly discussing the identity of women in Iran, it conveys this large topic through an intimate yet personal story. In simple, yet strong terms, one person’s experience of identity becomes a universally translateable feeling. In short, Me/من makes me feel more. I first got to see the book when I was organizing the Asian Women Photographers’ showcase—Mahmoodian was one of participants and she brought us a handmade edition. That was a really precious object! 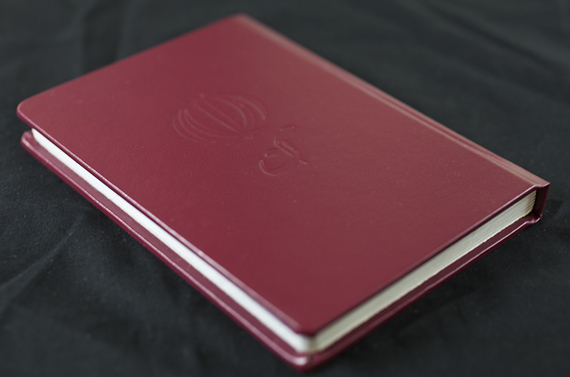 A trade edition will be published on the anniversary day of the revolution in Iran in February 2016. From what I’ve seen already, this was definitely one of my favorite books from all of 2015. In February of 2014, Lenscratch published a series of images called Wait Watchers. The series, consisting of seemingly quotidian self-portraits captured on city streets around the world, captured society’s animosity towards overweight people. The dynamic was replicated with viral exposure: in the comment sections in each of the countless blogs which published the work came unpredictable yet volatile responses. Amidst these thousands of anonymous comments, many took the line that Haley’s life and, in some cases, the world would be better if she lost weight and got a makeover. 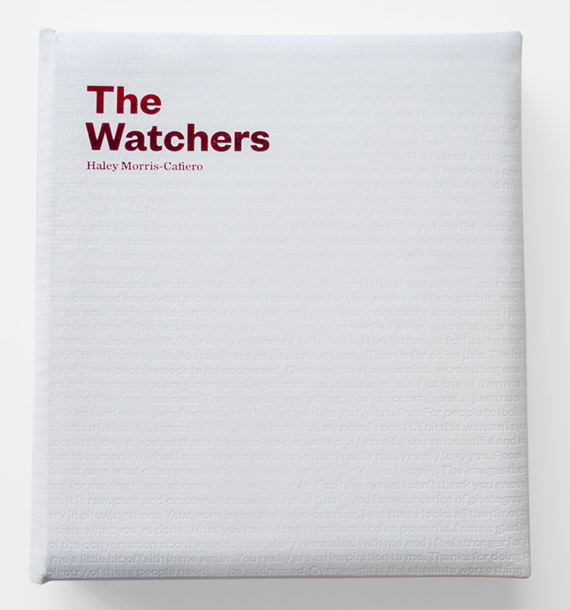 The Watchers, then, is about how fat shaming became a part of a global conversation, and how, at the same time, it inspired people to love themselves and their bodies. From the outer exterior of the book, to the love and hate messages spread throughout its pages, it is easy to see why this work has hit a chord with everyone who comes across it. Crisis: the communicable disease of our times. Opening Pandora’s box with a click, Ali Taptik dismisses aesthetic conventions. Doubting the medium, he puts himself in danger, confirming his own language with his new approach to photography. Nothing Surprising by Istanbul based Ali Taptik is a long-term project focusing on concepts of crises and resistance in urban situations interspersed with intimate photographs from a private sphere. A highly personal and courageous book. Spend some time with it to fully discover its hidden, ominous meaning and the link to Turkey’s recent past. 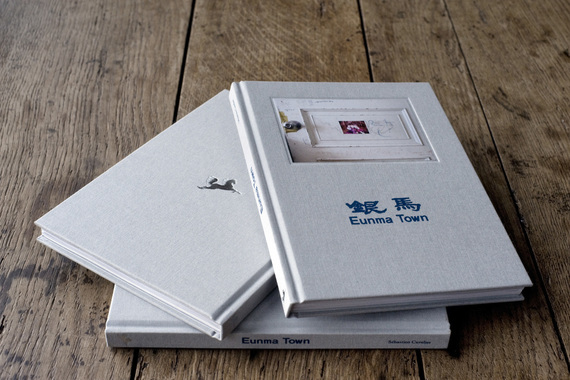 There are many great photo books that delve into the after-effects of the earthquake and tsunami that struck Japan in 2011—but this book still stands out among them. The photos tell the story about the land and the survivors while at the same time exploring the relationship between identity and memory. In the artist’s words, “The fishing town of Otsuchi in the Iwate prefecture was probably the worst affected. Roughly ten percent of the population was killed or went missing and sixty percent of residential buildings sustained damage. The mayor at the time and many municipal officials were killed, leaving Otsuchi’s administrative functions paralyzed. “I portrayed the Otsuchi inhabitants in the exact spot where their houses used to be, using long-exposure night shots for which they had to stay still for several minutes. These are black-and-white images tinted with colors retrieved from Otsuchi’s old family photographs that were swept away by the tsunami. Although (or because) Chaskielberg hails from a faraway place and culture, he was able to produce a particularly poignant and meaningful artwork in response to the disaster. This book is filled with beautiful, lasting images. 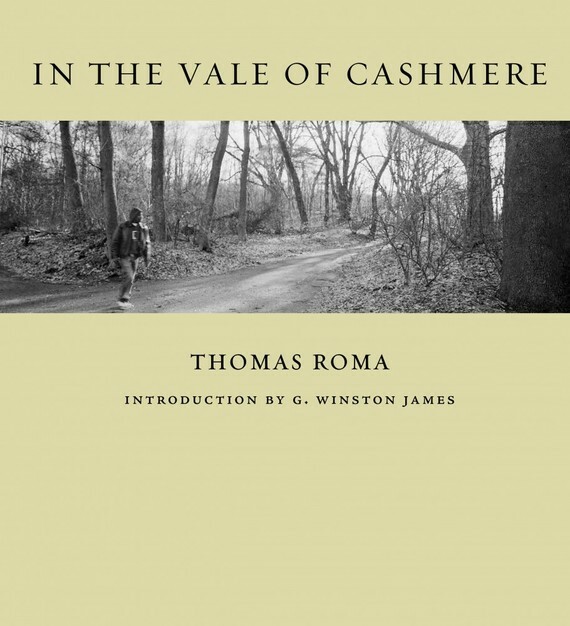 Thomas Roma’s portraits of gay African-American men in a small pocket of Brooklyn’s Prospect Park does what all good photobooks should do: reveals an overlooked subject and wraps a full, well-rounded narrative around that topic. Through its comprehensive and careful descriptions, the book becomes the authorative portrait of a previously invisible population. From within the midst of a hushed and furtive social milieu, these men—known as cruisers—stand in confidence and with knowing gazes. What’s evident in each frame is that Roma wasn’t considered a snoop or rejected by the people he was photographing. Above all else, the book is respectful of the topic. 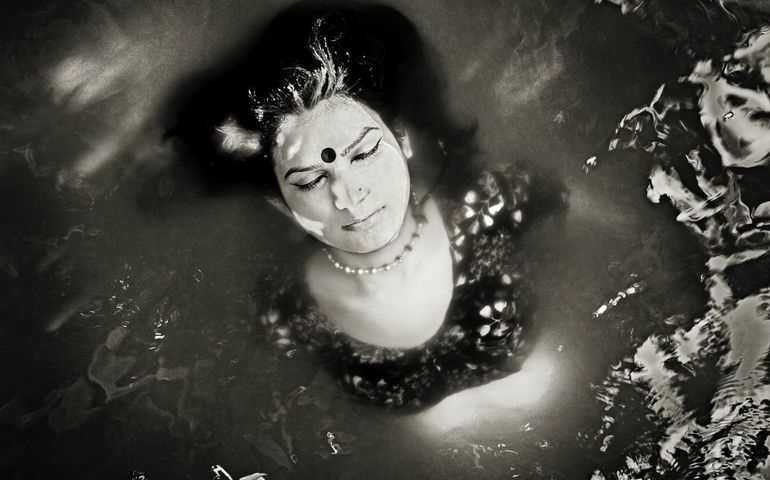 All of the photographs were made as a result of discussion between photographer and subject. At the same time, these collaborative portraits retain a distinct air of mystery: they are a tribute to a subculture that exists on the edge, proudly and defiantly. Daisuke Yokota is one of the most prolific artists making photobooks today, and for me this is his best effort yet. Taratine represents a new direction for Yokota, one that centers his work for the first time in the Japanese tradition of the confessional photographic “I-novel.” Comprised of photographs and a moving essay penned by Yokota himself, Taratine is his most personal work to date. 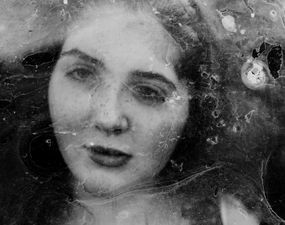 In the images, Yokota uses the unique, gritty aesthetic he has developed over recent years to great effect. Rather than as a tool for pure abstraction, the distinctive style is employed in the service of a more emotional and narrative project. Ultimately, these photos offer the artist’s perspectives on love, memory and sensation—an intoxicating journey that is well worth taking. 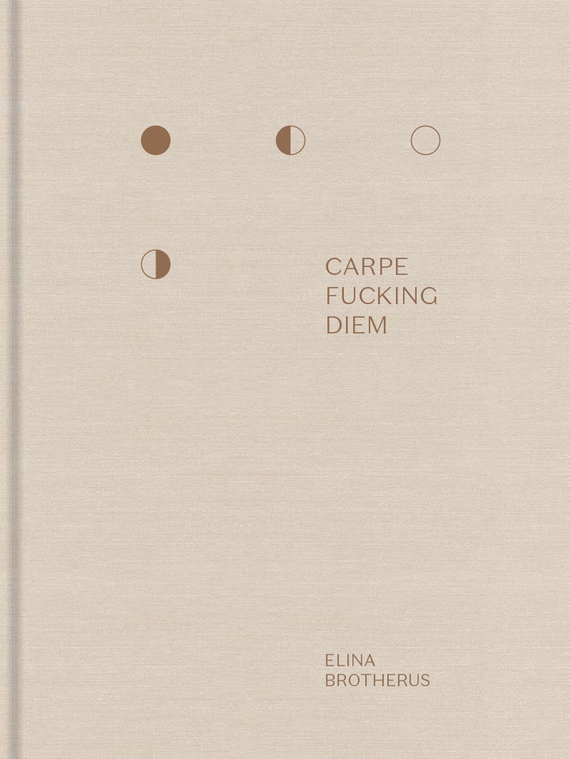 My “Oscar” for the best book of the year is easy. 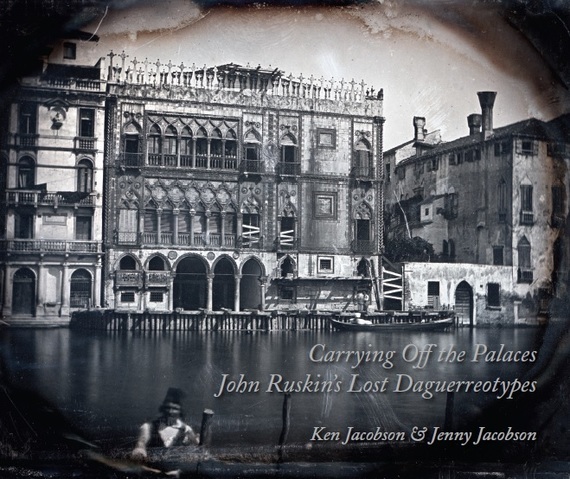 It goes to Ken and Jenny Jacobson’s quite extraordinary Carrying Off the Palaces: John Ruskin’s Lost Daguerreotypes. This book tells the story of a remarkable discovery made by the authors at a small country auction in 2006. One lightly regarded lot was a distressed mahogany box crammed with long-lost early photographs. These daguerreotypes were later confirmed as once belonging to John Ruskin, the great 19th-century art critic, writer, artist and social reformer. What emerges is a narrative that changes a piece of art history in a substantial way—if I can exaggerate only a fraction, it turns Ruskin, the photograph-hater, into Ruskin, the photographer. That’s an amazing trick of scholarship. It is also a marvellous story about the business of art historical research itself: about hunches and risk and daring and dogged patience. It’s good scholarship, good fun, and a thoroughly good book all around. Doug DuBois is one of the best portrait photographers working today. This is a project he worked on for over 4 years in Cobh, County Cork, Ireland. What began as a month-long residency grew into an immense project about youth, Ireland, and an exceptional group of young people from a few blocks of a housing estate in Russell Heights. The resulting photographs are an exploration into the promise and adventure of childhood with an eye toward its fragility and inevitable loss. Much more than “another coming of age” photobook, this publications includes not only great photos but also extensive interviews with many of the subjects and an original comic strip within the pages of the book. This inclusion of a graphic novel to further elaborate on the stories of his subjects is something new and completely brilliant. Much like the portraits themselves, it works simply yet very effectively. 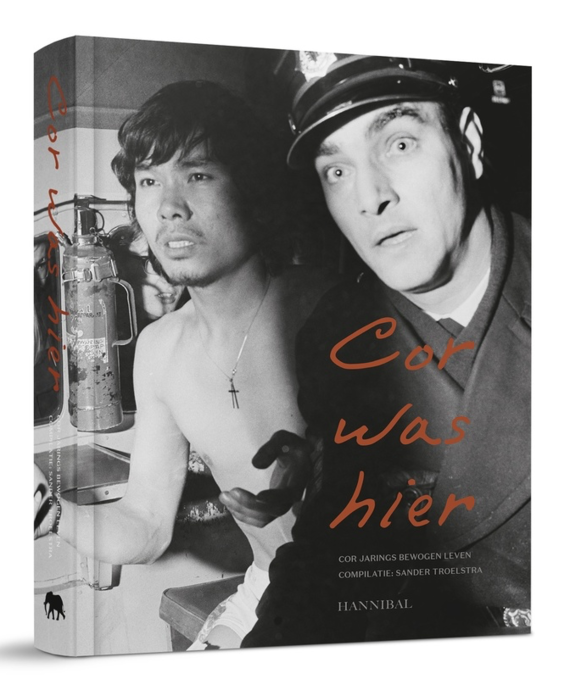 Compiled by Sander Troelstra, a photographer in his own right, this book shows the life’s work of the old master Cor Jaring, a photojournalist who covered Amsterdam when it seemed to lie at the center of the world in the late sixties. The catalogue includes earlier works by Jaring as well as his colorful trips abroad: to Japan and Indonesia. The impressively researched book includes more than just images—there are also letters, notes and other paraphernalia to give a more complete view of his life. The final chapter shows images by Troelstra of Jaring himself, in his last days before passing away in 2014. The project offers deep and sensitive insight into the person Cor Jaring, an unrecognized hero of the golden generation of photojournalists. Of the many excellent photobooks that I discovered this year, one continues to delight me with its deceptively simple concept, tactile sensuality and exquisitely printed photographs. 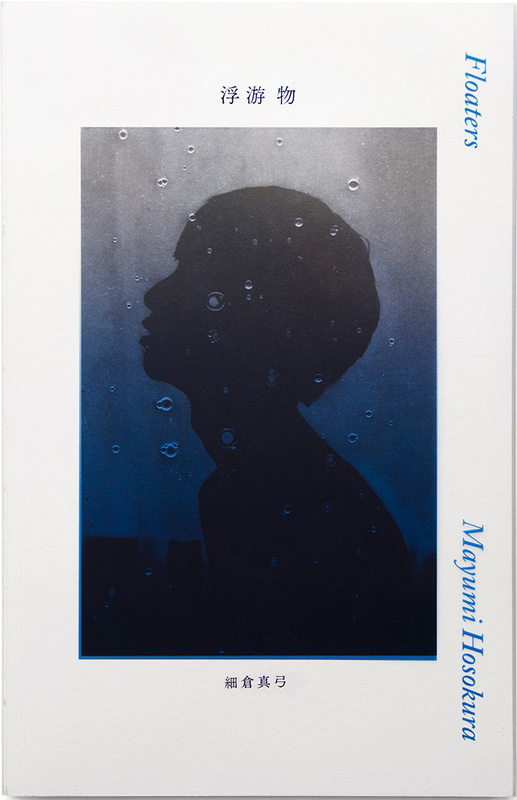 Floaters, by the young Japanese photographer Mayumi Hosokura, plays with the ideas of surface and plane in printed photography, as well as the ideas of layers, memory, color and mood. Starting with the cover image (and a clever PVC sleeve that adds—and then takes away—an additional transparent layer of color over the image), the book carries me back into the magic of the darkroom, watching images emerge from an exposed sheet of light-sensitive paper in a tray of liquid chemical solutions. Many of the images are presented as if they are still submerged in the developer tray, with tiny bubbles appearing here and there on the surface of the chemicals above the top layer of the photo image. There is also some clever use of primary printing colors, and interplay between human body parts, with wisps of wet hair on skin, the musical repetition of fern leaves and wild plants, and organic rock textures. It’s almost useless to try to explain any more than this; you really have to experience the book directly. Hold it in your hands, turn the pages, and get pulled into its dream-like images.